Construction Management Meetings – when is enough, enough? | Fancom Connects Ltd. In our last blog post we touched on the issue of defining scope, or more precisely, accurately defining scope. We suggested this was important on two fronts. 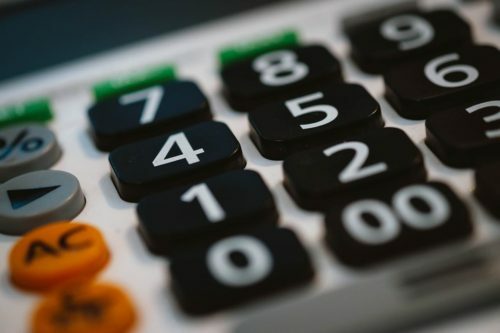 Accurately defining what you want done on a construction project seems a no-brainer, however based on some RFPs we’ve responded to I’m wondering if in fact that is as obvious as it sounds. Accurately defining the work should also result in a narrow range of prices to do the work if the requirements are clearly and completely stated. At the end of our last blog post we suggested that construction management and change orders were equally important considerations in getting the job done well, meaning on time, on budget and within scope. So, the title of this blog post, “Construction Management Meetings” might be considered a bit misleading. That being said, the managing of the myriad of issues that come up on virtually any construction project are advanced through some type of meeting during some stage of work with a variety of people whose interests may vary widely. 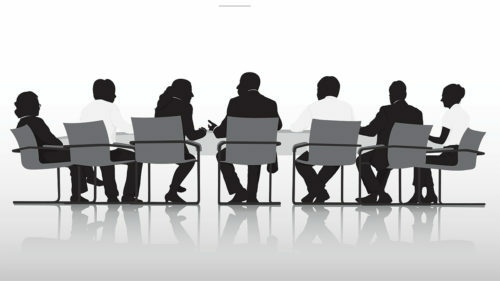 Nonetheless, meetings are a staple of the construction management or contract administration process of any project. I’ve heard it said that if there’s a meeting called and six people are invited to attend, there’s a very good chance that it’s a complete time waster for four of those people. Dare I say it, I’ve attended a few meetings where that number could easily be raised to five. Why do you call a meeting? Who do you invite? How long will the meeting be? What’s the agenda? What’s the purpose of the meeting? These are all good questions. Without trying to avoid answering any of them specifically, I can only say that it depends. It’s a complete cop out I know but it’s truer than you think. At Fancom Communications Engineering, we offer design consulting services for our areas of expertise to anyone needing a hand with designing a network infrastructure to support voice, video, data and electronic security applications such as video surveillance and access control. We do this work across a broad range of verticals including education, water and wastewater treatment plants, distribution centres, museums, data centres and commercial buildings to name a few. We work with clients directly or as a sub-consultant to an architect or engineer. When we act as sub-consultants, price is a key consideration to winning the work as I mentioned in an earlier blog post on personal accreditations and the importance of them. Included in our price is only one item, time. As a professional services company, that’s all we sell, our time. We do not buy and re-sell materials to make a profit margin. We do not install cabling or the end devices such as cameras and wireless access points that connect them to a network. We’re a knowledge based company and get paid for the knowledge that enables us to design networks for a specific purpose – voice, video, data or electronic security applications. Fancom’s project management style is admittedly quite hands-on and collaborative in nature. While some view this approach as a bit folksy, generally I believe our customers appreciate being kept informed along the way and equally appreciate the opportunity for input on systems that they will have to use day in and day out for the next several years. Much of this happens during a purpose specific meeting, or was the result of a purpose specific meeting. Let me define the difference. On a security focused project, during the pre-design stage, we may do an initial site investigation to determine current conditions, i.e. camera placements, number of cameras, operability of cameras, connectivity of cameras, review of the monitoring stations, storage capacity and power/backup power of the overall system as the pre-cursor activities to preparing a pre-design report. 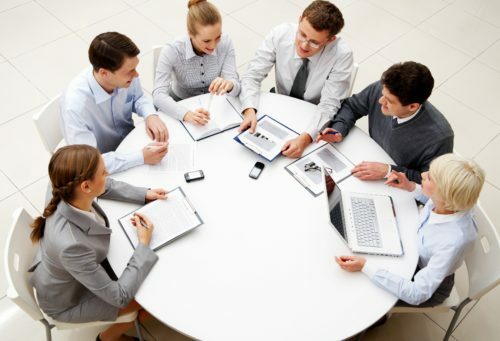 We may THEN convene a meeting with the client to review our findings, ask several questions, make some high-level recommendations and offer a few possible solutions. If we’re working directly with a client, this type of communication is usually very well received and there appears to be a recognized value in the discourse. If we’re acting as a sub-consultant to an architect or engineer, this time is more likely deemed a pure expense with no commensurate value. Is the meeting worth the time based on an hourly rate? Depending on your point of view its an arguable point. Early on in my tenure here at Fancom as the chief sales guy and sales proposal author I attempted to define how many meetings would be required during a project. Invariably the answer came back, it depends. There they are, those two words again, it depends. Still, I tried to come up with a magic formula assuming a 6-month design period, followed by a short tender period and a 12-month construction period. The purpose of this exercise was to come up with a justifiable cost for those meetings, something I could defend on inquiry from any budget conscious party who we sub-contracted to. As some meetings were clearly “needed” and others fell into the discretionary category, I came up with a list of mandatory meetings and some others considered to be optional. In total, I came up with 18 mandatory and 22 optional. Yikes you say? How’s this even possible to have 40 meetings over the course of 18 months? Let’s for the moment assume that 40 meetings are in fact too many and begin to eliminate a few of them. Do we take out the initial site visit to determine the scope of work that was poorly defined? (see last blog on scope definition) I think not. I liken the scope we see on most publicly offered RFPs to an iceberg; what you see is only about 10% of the true majesty of the iceberg, the rest is below the surface. 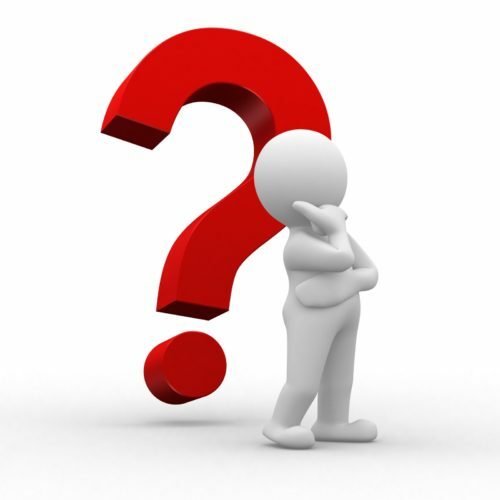 In RFP speak, the real meat and potatoes of scope is often only found out during the Q&A period. 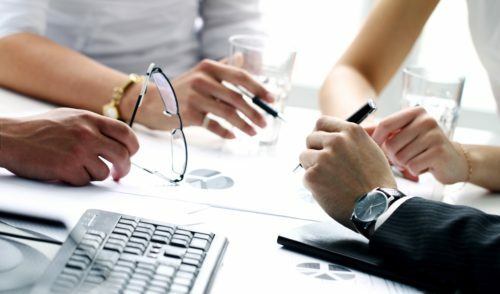 Do we take out the client meeting where we discuss our findings and ask a bunch of questions to clarify our scope of work and make suggestions on possible solutions? Not a good idea. Do we take out any of the client meetings to discuss design details for the systems all their staff are going to have to use daily for the next 10 years? Really? No! Do we take a pass on inspecting the in-floor conduit routing that’s about to be covered with concrete and risk that the contractor forgot to put in those 12 floor boxes that were requested in CCN #12345? Craziness. Do we not inspect the behind the walls conduit pathways and just assume that all is good as we’re hiring 3 additional staff members from our newly acquired cross town competition to bolster our customer service operations? Only if you want to explain to the President why the three new hires can’t work because they have no connectivity at their brand spanking new work stations. Now who’s the fool? How do you like your $100 saving now? Do we skip the review of the entrance facility or telecom room construction only to find that some thrift conscious contractor decided not to use fire rated board to mount equipment on in the entrance facility and thought he’d be doing the owner a favour in saving a few bucks by running the steam and water lines over top of your racks and cabinets intended to house all your switches, patch panels, power supplies and other assorted not-waterproofed telecommunications equipment? Unthinkable. This boo boo should have been caught at an interference meeting with the mechanical and electrical disciplines. We could go on and make a good case for the importance of each meeting. Sadly, each one of the crazy scenarios mentioned above REALLY happened. We could write quite an entertaining book on this stuff. However, to save the $100/hour on another seemingly pointless meeting, these occasions for investigation, communication and collaboration are all too often trimmed from the budget with the notion that $100 saved is equivalent to a $100 profit. In fact, the opposite is often true. What could easily have been avoided by prior investigation, discussion or reviewing work prior to going ahead with the next logical stage of work, the client or project lead may erringly save a few hundred dollars that cost several thousand dollars to fix afterwards. Over the last several years I’ve been asked what does Fancom do? 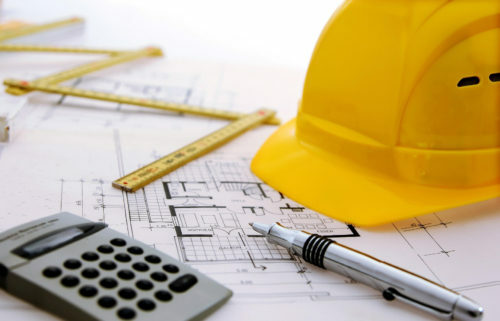 The quick answer is to define our work in terms of the deliverables we provide to our customers – the cost estimates, the network design, the written specifications and commissioning plans, the as-built drawings, all things that most projects will require. The more thoughtful reply should include the thought that Fancom acts as the client’s advocate. 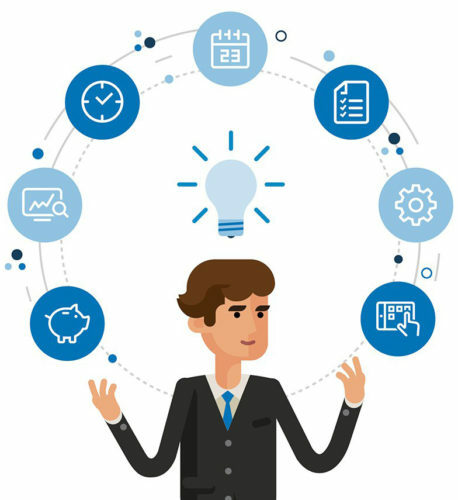 We represent our client’s interests by applying our subject matter knowledge and past project experiences on their behalf to safeguard them from costly delays, poor installation techniques, non-adherence to standards and needless bells and whistles that only serve to inflate the contractors profit margin. Meetings can be costly from a consultant’s point of view. More times than not, we travel largely at our expense, so the notion that we knowingly add additional meetings to a project schedule that are not required runs counter to sound business principles. 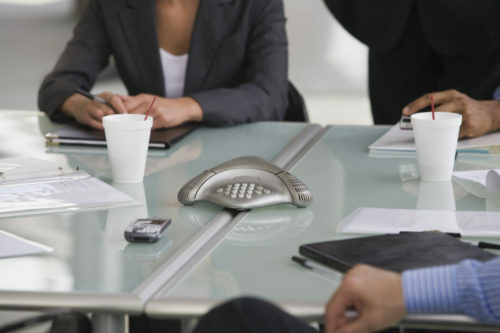 Often, we can conduct meetings via conference call to avoid costly travel. If we’ve allowed for a meeting in our fees proposal, there’s a good reason for it to be included. Are 40 meetings too many over the course of a 6-month design period followed by a 12-month construction period? It depends. Before you try to save three or four hundred dollars by having two or three less meetings, better to find out what the intended purpose of those meetings are, and what might happen if chaos were to show up uninvited while that meeting wasn’t taking place. A penny saved may well be a penny earned. It may also be a waste of a thousand dollars or more. If you’d like more information on Communications and Security Design we would be happy to hear from you. We can be reached at 905-990-4845 or info@fancomni.com.